From early antiquity, the Armenian people developed a rich and distinctive culture on the great highland plateau extending from eastern Asia Minor to the Caucasus. On that crossroad, they interacted on many levels with civilizations from the Orient and Occident. 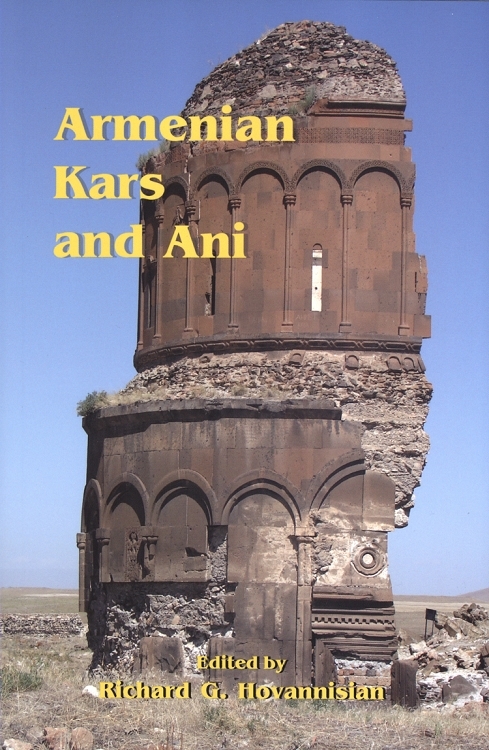 Armenian Kars and Ani represents a departure from the preceding volumes in this series, which have focused on the historic Western Armenian provinces, cities and communities under the Ottoman Empire. In modern history, Kars and Ani were very much a part of Eastern or Russian Armenia, and even after the Turkish border was pushed eastward again in the aftermath of World War I, the Russian and Caucasian influences in the region remained in its urban planning and architecture and in its music, cuisine and other forms of popular culture. Historically, Ani, lying along the right bank of the Akhurian (Arpachai) river in the great plain of Shirak, outshone Kars (Vanand) as the medieval Bagratuni/Bagratid kingdom's last illustrious capital city, with its great walls and grand palaces and its fabled thousand and one churches. But Kars preceded Ani as the Bagratuni capital and continued to exist as a regional administrative center long after the decline and ultimate abandonment of Ani. Hence, while the histories of the two neighboring Armenian cities are linked, they are also quite distinct. Armenian Kars and Ani is the tenth of the conference proceedings to be published. Scholars from various disciplines present the history and culture of the region across the centuries until its de-Armenization between 1918 and 1921.